The Thrashers named Don Waddell president, promoted Rick Dudley to general manager and dismissed its coaching staff Wednesday, the AJC has learned. They are three significant moves aimed at changing the direction of a franchise that has made the playoffs just once in its 10-season history. 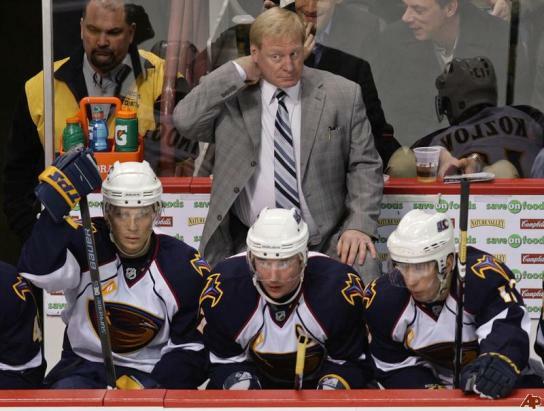 Long-time whipping post, Don Waddell has been the only GM the Thrashers have known. 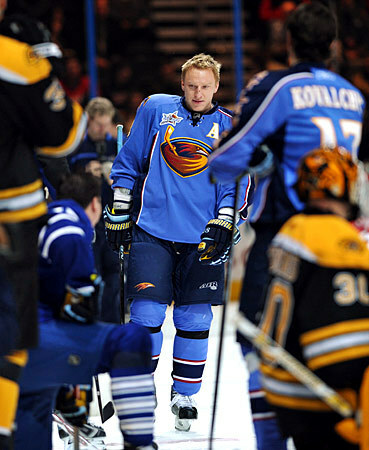 There have been magnifying cries for his removal since he was forced to deal Marian Hossa in 2008. Yet it was coach John Anderson and his entire staff, that ultimately paid the price for the Thrashers failures. Some Atlanta fans will rejoice in the fact that Waddell has been removed from the day-to-day operations of the general managers role, and to some degree they should be happy. Rick Dudley is a fine talent evaluator and very capable overall. However, if those same fans expect "significant moves" that will actually change "the direction of a franchise" as the AJC put it, they will find only disappointment... again, and in short order. Criticize Don Waddell all you like, but it wasn't his body of work that has led this franchise astray. Who is to blame? Look no further than the Atlanta Spirit, the parent company of the Thrashers, the NBA's Hawks and Philips Arena. Search far and wide, and we challenge you to find a more apathetic ownership group than the Atlanta Spirit. They are comprised of a handful of bickering, wanna-be NBA owners, who are saddled with a hockey team that they treat with little more than disdain. 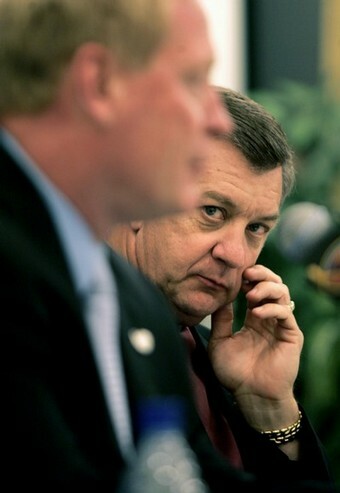 Former Atlanta Spirit President & CEO Bernie Mullin resigned in 2008. He called his resignation a "mutual decision between him and the Hawks-Thrashers owners." At the time Mullin stated: "I believe the owners want to get more intimately involved in the running of the business on an everyday basis. And obviously that impacts the role I performed, and therefore it makes more sense for me to move on." Bernie Mullin had been very active in the day to day operations of the Thrashers, and very vocal. It was also widely known that he and the ownership group did not see eye to eye, particularly when it had to do with the hockey team. It wasn't until after Mullin's departure that Marian Hossa declared his unwillingness to re-sign with the club, necessitating a trade. Later, it would be the franchises biggest star, Ilya Kovachuk, who would turn down the opportunity to become the highest paid player in the NHL. Why? Because of Don Waddell? No. Because of John Anderson? No. Because of the viability and direction of the ownership group in Atlanta. Waddell worked under duress for most of his years, in the midst of a symbiotic cycle of hell: Players who didn't want to play there, empty seats, pathetic local television coverage and marketing, etc... Sadly, Rick Dudley will fall victim to the disdain of the fans too.